Slovenian puppeteer, writer and director. Jože Pengov was born into a family of artists. At twenty, he was a member of a duo that sang and performed sketches on Ljubljana radio where he became an actor and speaker. In 1938, he joined the Pavliha company (name of a character invented by the anthropologist Niko Kuret) through which he performed glove puppet shows, initially with state radio support and later independently. In 1950, he became the artistic and executive director of the Municipal Puppet Theatre (now Lutkovno gledališče Ljubljana, Ljubljana Puppet Theatre) which was founded in 1948. He gave his directorial debut with Žogica marogica (The Little Striped Ball, 1951), adapted from the text Miček Fliček by Jan Malík. This show, which was still in the early 21st century repertoire of the Ljubljana Puppet Theatre, prefigured Pengov’s aesthetic. 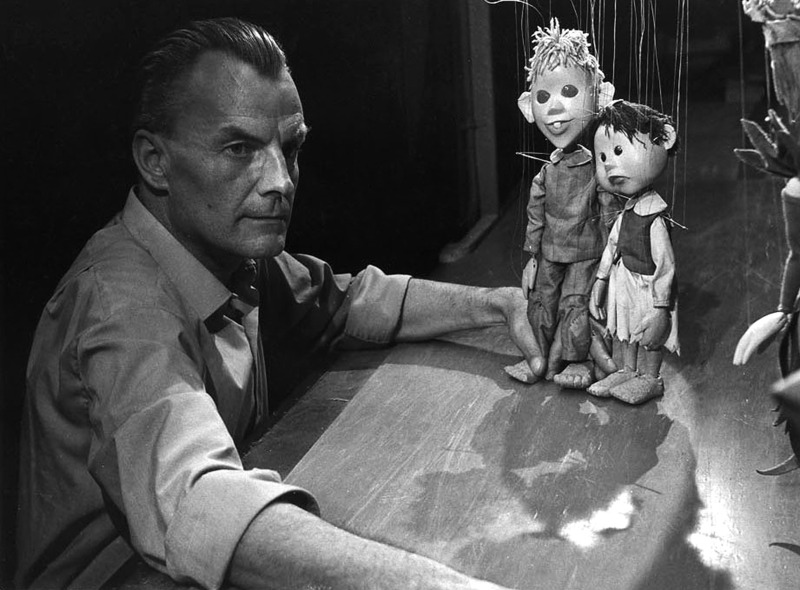 This encompassed stylized string puppets, narration conducted from the perspective of the child, and separation of the voice and manipulation achieved by requiring two actors per puppet. Subsequent performances include a series of adaptations: Mojca in živali (Mojca and the Animals, 1952), Zlata ribica (The Goldfish or Golden Fish, 1953), Obuti maček (Puss in Boots, 1953), which were performed at the festival in Dubrovnik in 1955 Čarobne gosli (The Magic Violin, 1951). 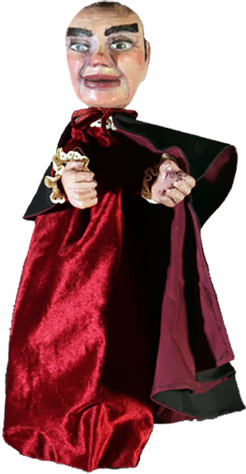 It was also in 1950 that Jože Pengov reintroduced the glove puppet and, on occasion, played the character of Pavliha. However, when he found that state ideology seriously constrained his comedic instincts, Pengov turned away to return to string puppets. In 1957, Jože Pengov participated in the first post-war UNIMA congress held in Prague and was elected onto its executive commitee. The following year, he presented at the first UNIMA festival, held in Bucharest, Zvezdica zaspanka (The Sleepy Little Star, 1958), written by Frane Miličinski–Ježek. 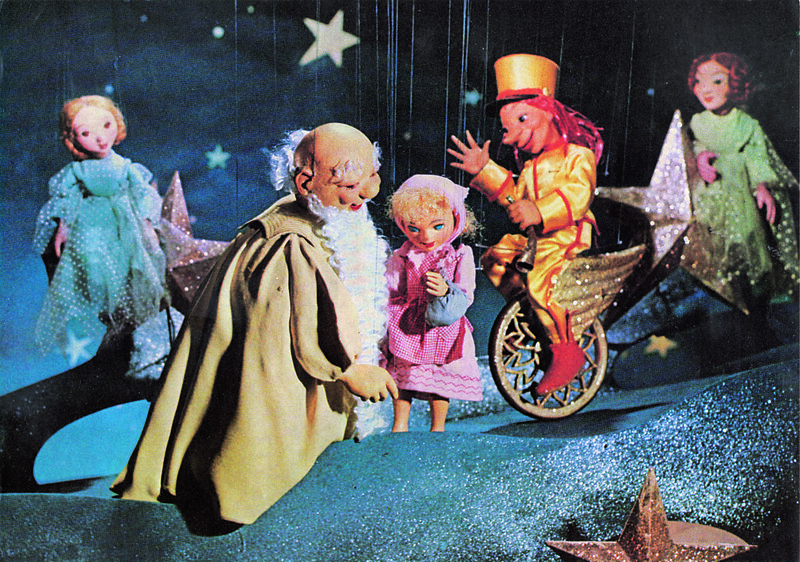 Pengov’s artistic conceptions were more apparent in his 1959 production Pinocchio, based on the interpretation by the American Remo Bufano. This string puppet production incorporated projections on a screen of semi-transparent tulle. 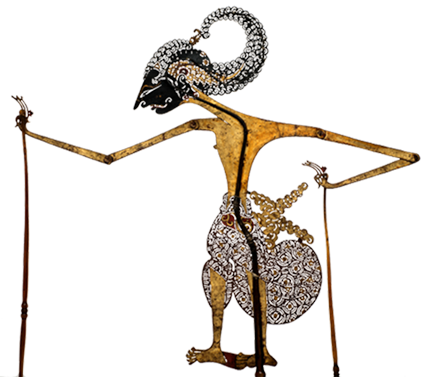 He would also be inspired by Javanese techniques (see Indonesia, Wayang) for Deček in veter (The Boy and the Wind, 1963) performed in Zagreb, and Volk in kozlički (The Wolf and the Young Goats, 1961). The latter is an adaptation of Jan Grabowski’s play conceived as a mini musical with Javanese puppets and glove puppets, which was performed in Ljubljana. As he struggled against illness, Jože Pengov mounted his most ambitious productions. These included Sinja ptica (The Blue Bird, 1964) by Maurice Maeterlinck, Mali strah bavbav (The Little Ghost Boogeyboy, 1964) by María Clara Machado, which combined Javanese puppets and actors as puppets. Up until 1968, he experimented with a variety of different techniques in his productions including glove puppets for Dve polnočni zgodbi (Two Midnight Stories) and Tri snežaki (The Three Snowmen) and flat figures for Zavržena knjiga (The Discarded Book). He died before the premiere of Trdoglavček (The Little Woodenhead) of Jan Wilkowski for the Lutkovno gledališče Dravlje (Dravlje Puppet Theatre, today Lutkovno gledališče Jože Pengov). Jože Pengov is the author of highly technical articles on staging for various journals, including Lutka, as well as translations and adaptations of plays.